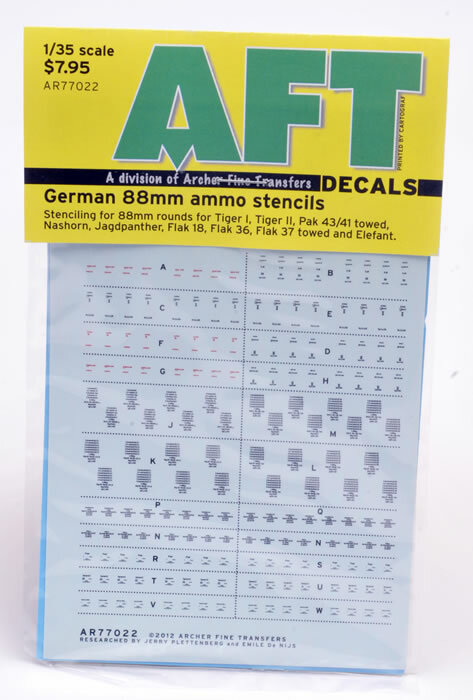 Contents and Media: Waterslide decals and instructions. 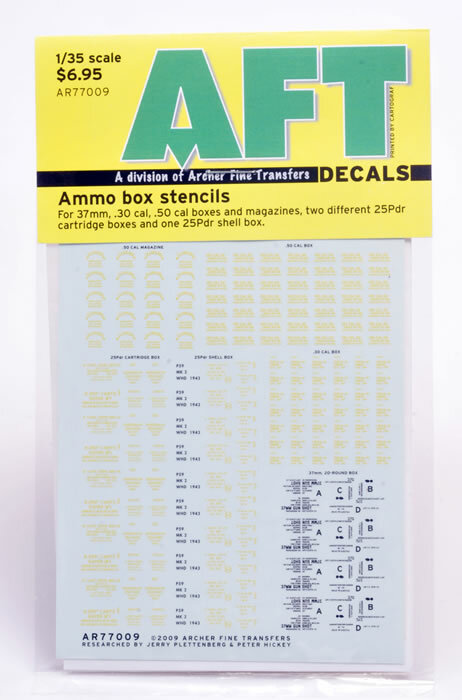 Advantages: Sinple but useful update for vehciles, ammo boxes and ammunition. 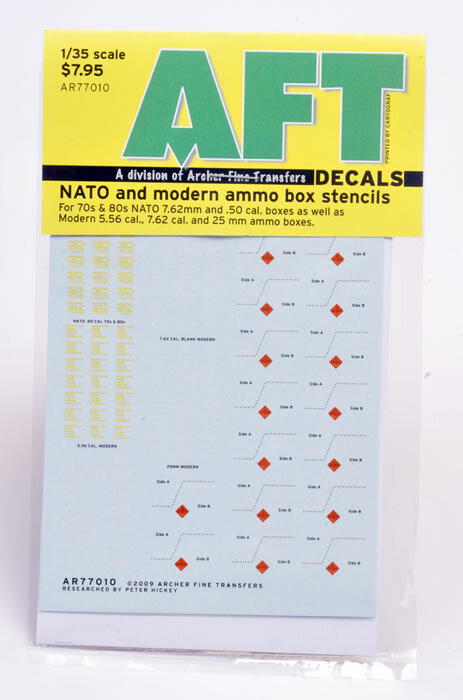 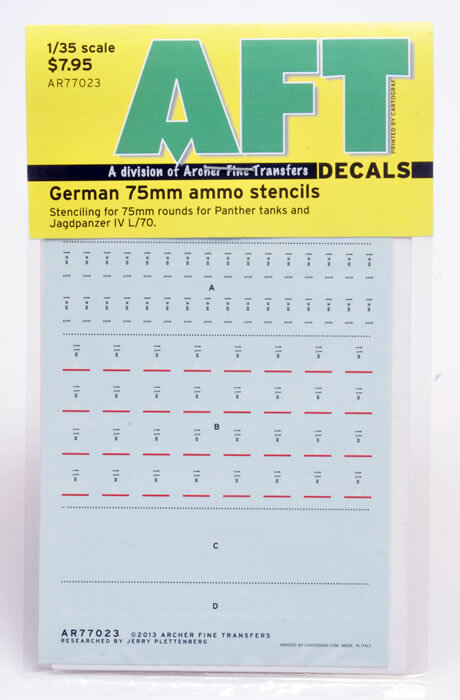 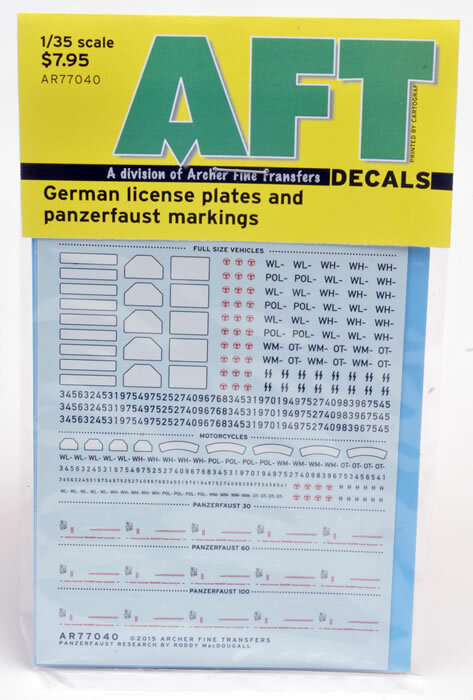 Archer Fine Transfers has an interesting batch of recent releases in their 1:35 scale waterslide decals under the branding of AFT Decals. 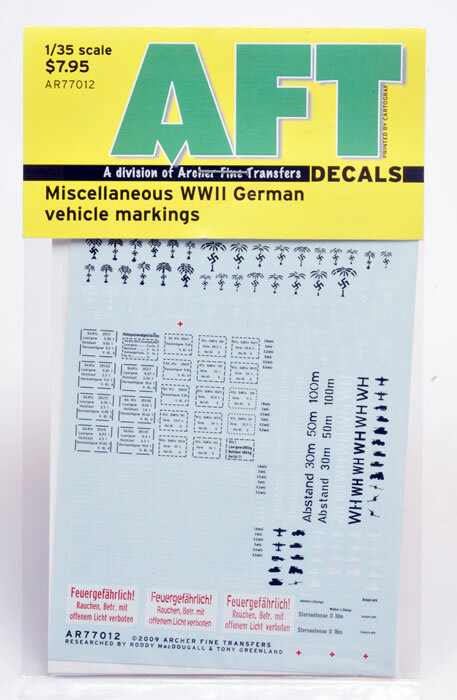 The subject matter makes the usage fairly self-explanatory but an instruction sheet is included along with one small-sized decal sheet packed with useful markings. 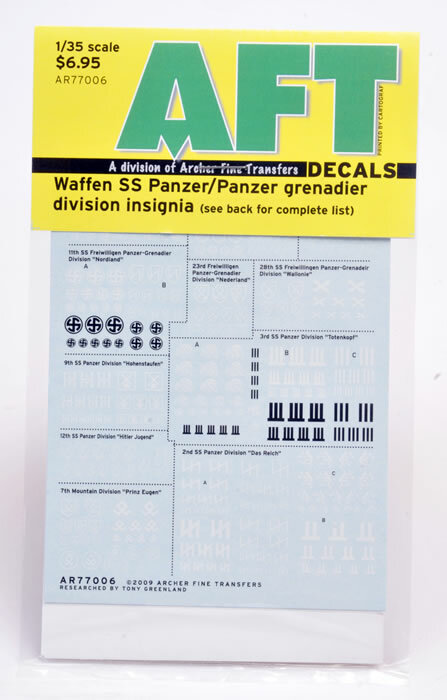 These are all conventional waterslide decals printed perfectly by Cartograf.